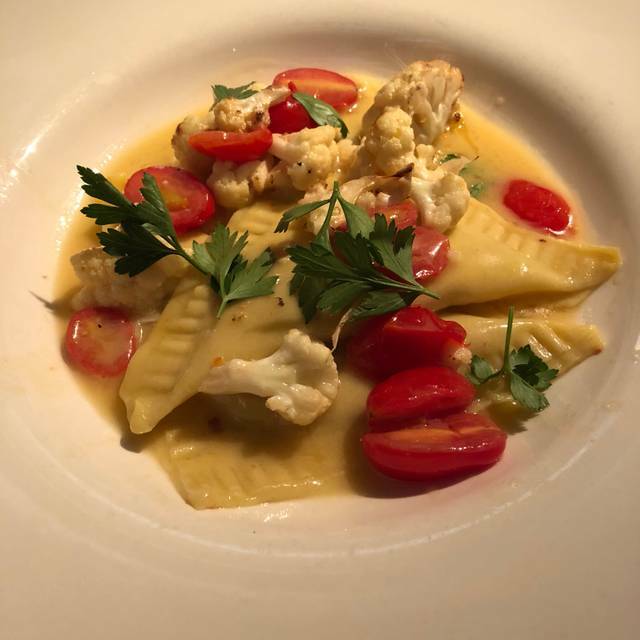 Since opening in 2004, Executive Chef Myles Anton, 5-time James Beard Award semi-finalist, has led the kitchen focused on sustainable ingredients sourced locally when possible and house-made pastas, fresh cheeses, charcuterie, breads and desserts. This year, Trattoria Stella is designated as one of the Top 100 Wine Restaurants in America by Wine Enthusiast Magazine thanks to nearly fifteen years of committing to the education of a loyal service staff and an innovative selection of wine from all over the Italian peninsula plus the best of the best from the local ones: Old Mission and Leelanau. 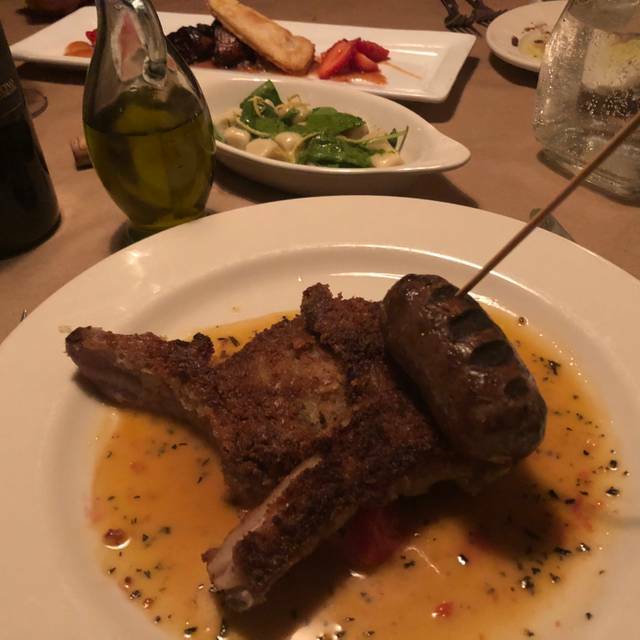 The effort put into the beverage selection and delivery matches the quality of the culinary offerings making Trattoria Stella an unparalleled destination for dining in Traverse City, Michigan. The setting is so unique, inside the former State of Michigan mental hospital, it is worth a trip to see the location and wander the halls. The menu is a bit meat heavy, but the wine list is extensive, many local wines and the array of appetizers is wonderful. Service is always very good; the portions are good, not too large, not too small. 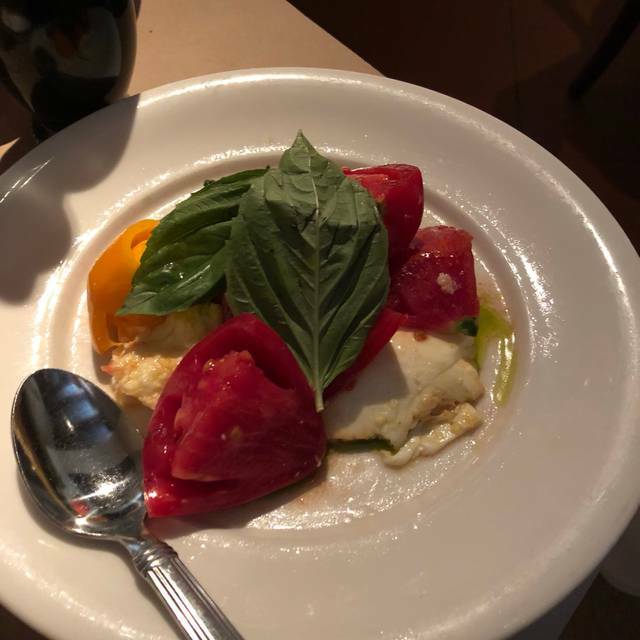 The buratta is divine; any of the specials are always fabulous. It is not cheap, but definitely a special occasion restaurant in a beautiful location. food and service were great. unfortunately, we (my husband and I) were sat at our two top which was right next to a table set for 8-10. It started out fine because the large table was empty; however, once a party came and sat at the table it was so loud that we couldn't have a conversation with each other. I was very disappointed in the set up- seating a very large table next to a small two top was a poor decision in the layout of the restaurant. Always a fantastic experience here. One of our favorite restaurants! Good food, a little loud but amazing atmosphere! Would go again, for a special occasion as it is quite pricey. It was some of the best food as have ever eaten!! The service was excellent and the ambience was great! 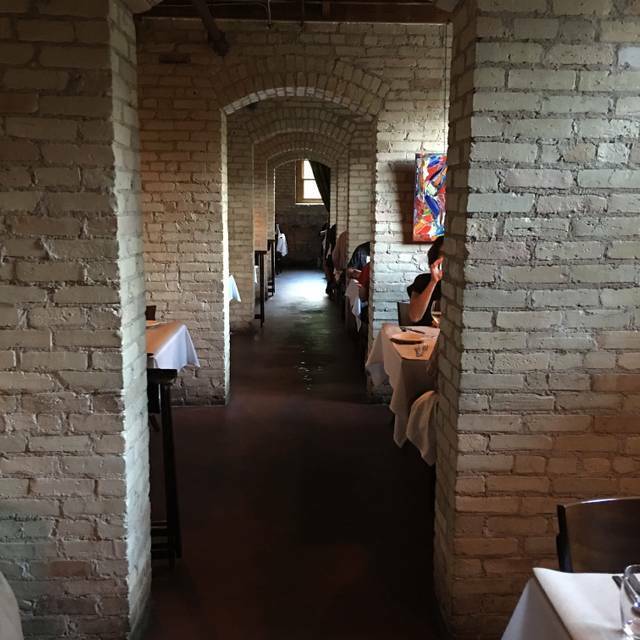 Stella is a solid restaurant for the greater Traverse area. The staff is beyond knowledgable and accommodating. Delicious fresh offerings from local farms and artisans. Love the common table in the bar as I’ve met many new people both local and tourists. I highly recommend this place for true diners whom enjoy the finer things in life. Lovely recreation of Trattoria style in an older, repurposed building. Combines intimate comfortable seating with quiet, unhurried atmosphere. Expect to savor your experience here with multiple courses of well designed and plated presentations. Our server was knowledgeable about menu selections and wine/beer pairings. Antipasti caldi choice of char grilled Spanish Octopus and special local sourced foie gras and house Charcuterie were excellent. I recommend the refreshing oven roasted beets with honeycrisp apple, mozzarella, hazelnut and vinaigrette. Our selections of a special local sourced Lamb piccata very nicely seasoned and tender. 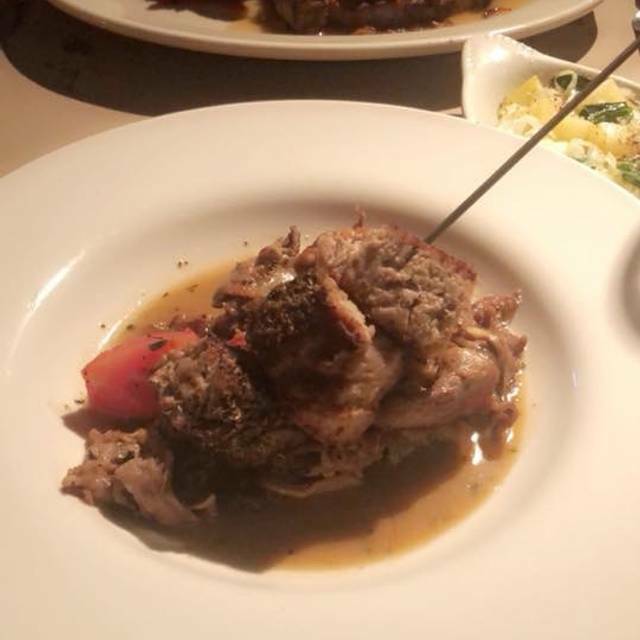 The Boar tenderloin pepper seasoned and pan seared with saffron rice, and pan seared Bay of Fundy Salmon with tomato risotto, olives and capers all well prepared and plated. 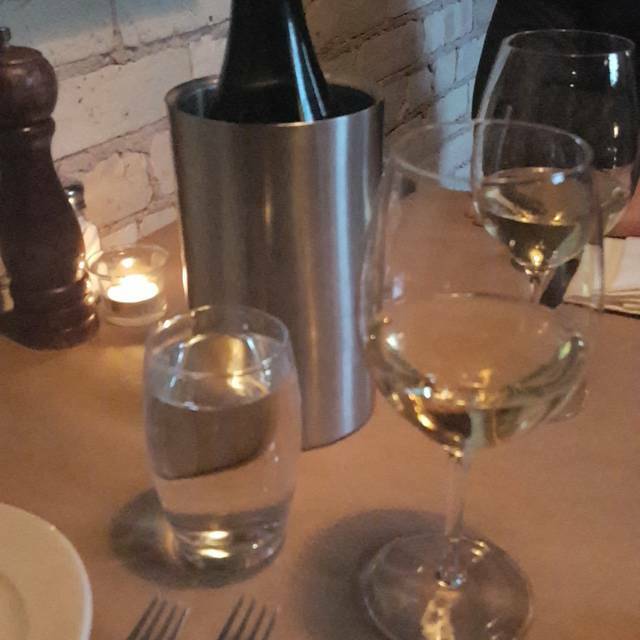 Wine list features several local sourced, all of excellent quality. Take your family and friends for an exceptional evening of fine dining and conversation. We visited Trattoria Stella at the suggestion of a colleague. He recommended the restaurant primarily for their wine list. Their selection of wines is very good, we were not disappointed there. The food, however, was not worth the hefty price tag. We opted for several of the specials: Foie gras appetizer, pan-fried lamb chops, and the shrimp/filet "surf and turf." The foie gras was spectacular. Perfectly cooked and plated, melt in your mouth heaven. This set our expectation high for the main dishes. Unfortunately, my lamb, although cooked well, was incredibly salty. The breading overpowered the meat; no easy feat with lamb. My husband's shrimp was very good, but the filet was tough. It was properly cooked as medium rare, but the quality was not good. Considering the entrees were $45 and $55, the food did not live up to the price. We might go back for wine and appetizers, but I don't see us returning for a full meal. There is plenty of better food at more reasonable prices to be had in Traverse City. Yes this was a great experience. Our waitress Kelly was very knowledge and friendly. She suggested a few appetizers which we tried all very good. A lovely dinner for 4 in the arches at Stella’s. Everyone raved about their meal, had excellent service, and enjoyed an intimate atmosphere. The building was restored beautifully. We were disappointed in the music choice that was playing. It did not match the classiness of the venue. The food did not over Impressed as I had hoped. I would give it another chance because of atmosphere. The food was superb, they catered to my dietary restrictions, and exceeded me expectations. Our waitress was outstanding, and the atmosphere is perfect for an intimate dinner with very reasonable prices. Outstanding as always! Will return again and again. we went for the atmosphere and were very happy that the food was great! the food wasn't very expensive, but the drinks sure were! the garlic stuffed olives are probably worth it though! it was easy to get in early on a friday night in march. most of the shops in the asylum are closed in the evening which is unfortunate. there was another restaurant/bar open there where we had a drink but stella had a much better menu, so we were happy overall. 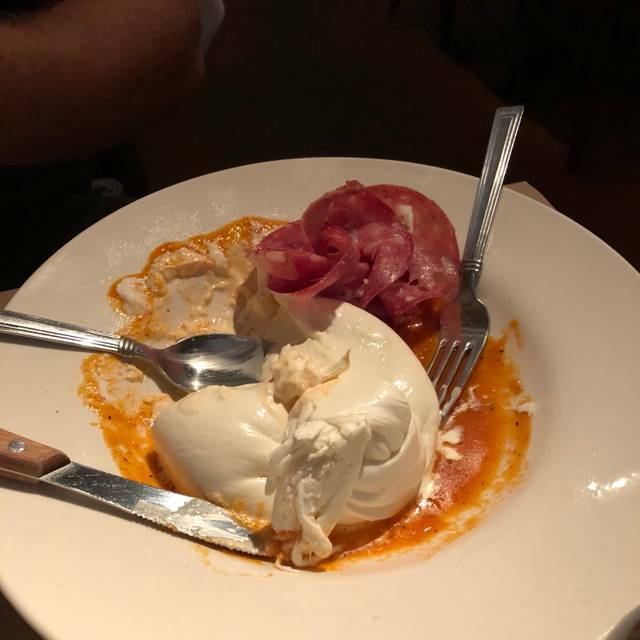 Very delicious Italian restaurant. Some menu options can be a little pricey but given a special occasion and the quality of the food/ingredients, I would say it is definitely worth a treat! The service was friendly and helpful. Our waiter was kind to help us pick a wine to share and also to tell, and explain twice, what the specials were for the evening too! Strongly recommend this place in Traverse City! Love this restaurant. Please keep pricing reasonable. Thank you for darkness and for tablecloths. Thank you for not making prices prohibitive. I will come back time and time again. Don’t change a thing!! We’ve been to Stella many times but decided to come this evening instead of our original plan of Red Ginger with friends of ours who are new to the neighborhood so we could more easily talk. We got lucky and arrived on the last day of Chef’s special 4-course prix fixe menu offering from the boot of Italy. As it turned out our dining partner’s mother came from this exact part of Italy so he had a great frame of reference. In a word - outstanding. Chef created a menu that reminded our friend of his mother’s home cooking but that also was unique and what you expect for a big night out at Stella’s. Five stars + tonight. Thanks. 4 course special was a good value. Interesting flavor combinations, but was a tad too salty for my taste. Tried the social 4 course food tour. Delicious! Absolutely wonderful service and amazing food! 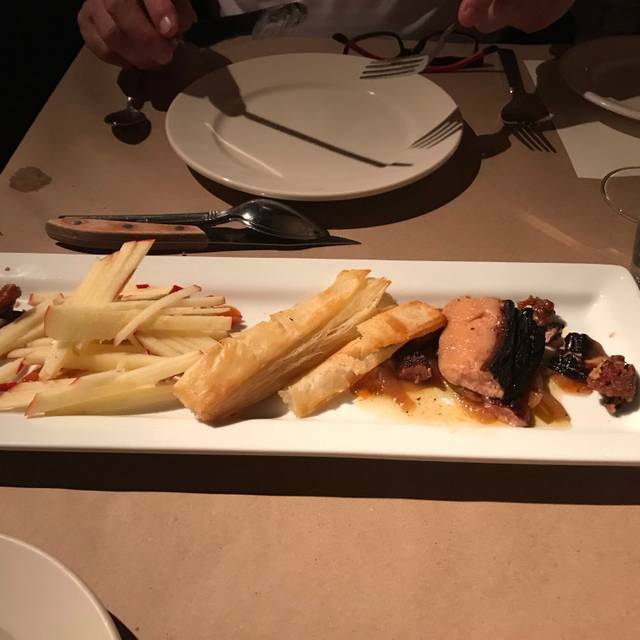 The staff was attentive and knowledgable and the menu was rich and decadent. restaurant was packed so it was very loud. Excellent service. Food options always unique. Restaurant week 2019. Trattoria Stella was FABULOUS, probably the best meal I have ever had in Traverse City. Our waitress, Anna, was very friendly and very knowledgeable. The food was so delicious and just the right amount so I wasn't overly full. Drinks were delectable (probably because I'm so used to cheap drinks)! I would definitely go back but it was a little pricey, even with the $35 tasting menu so I would wait for a special occasion! Nice job, Trattoria Stella! Five stars! 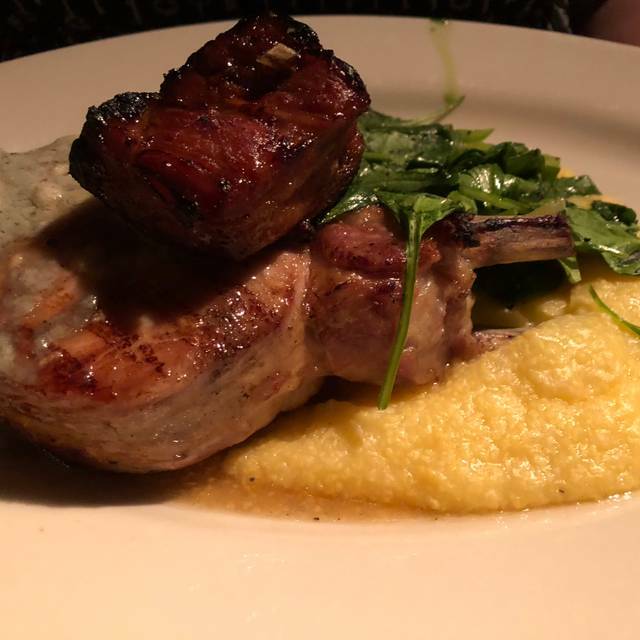 We took our friends to stella's for their 30th anniversary and they and we loved it. Only thing I would suggest is that if people are coming for an anniversary, maybe acknowledge it. Even a small thing like a glass of wine or a dessert, would be a nice touch! Thanks again for a wonderful evening. Absolutely exceeded our expectations. The food and service were outstanding. Food and service were great. Wine list is good, a little higher price that usual but good selection of local wines that is greatly appreciated. It is a very pricy place, and the amount of food isn't worth the cost. Excellent food, ambiance, and service! The Arctic char was very tasty! The food was fantastic as always. The waiter was very knowledgeable about the menu and the atmosphere was terrific. We love this place and eat here every time we are in TC! This was restaurant week in Traverse City and as we reviewed the menus of participating restaurants, Stella stood out for us. We were not disappointed. Our dinners were excellent, the service attentive, but not intrusive and the atmosphere just what we were looking for. Went to Stella's for Restaurant Week. The food was delicious and the ambiance was quaint! Wonderful experience for restaurant week. Food and service were outstanding. We will be back. We went to Trattoria Stella for our post-elopement dinner. It was phenomenal and delicious. The drink/alcohol menu is fantastic. Wonderful experience!!! Looking forward to coming back in the future!